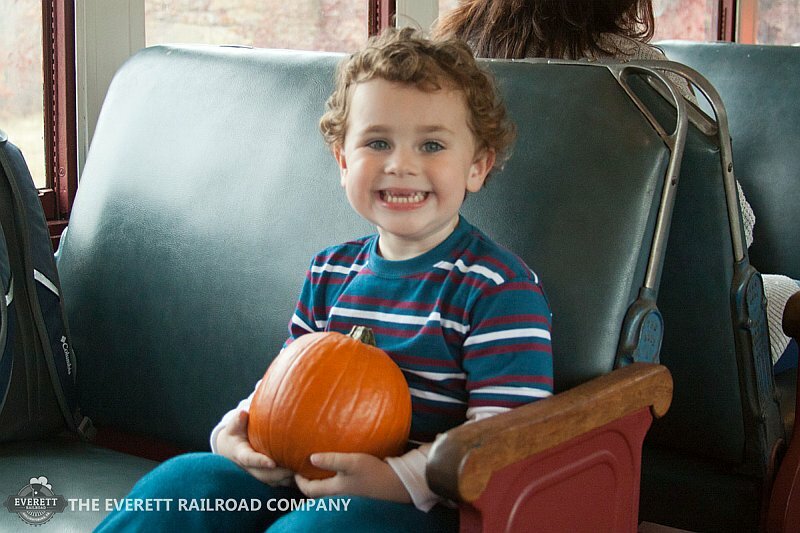 It’s a trip the whole family will enjoy! 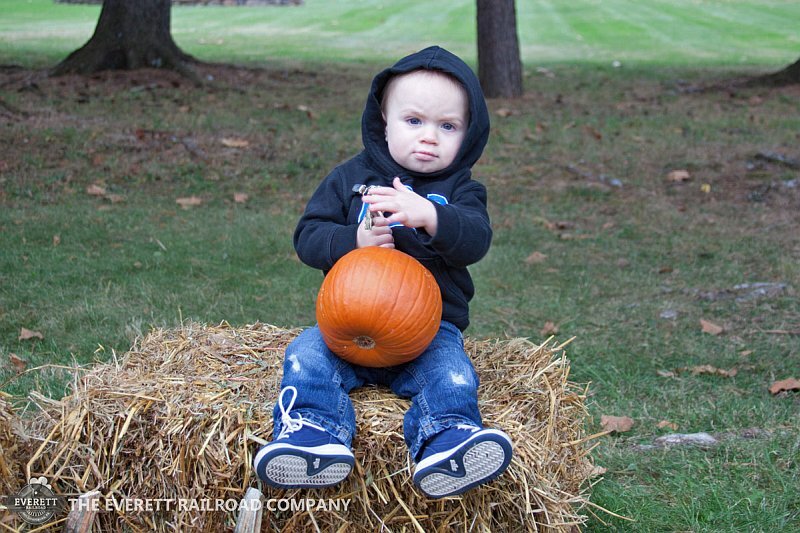 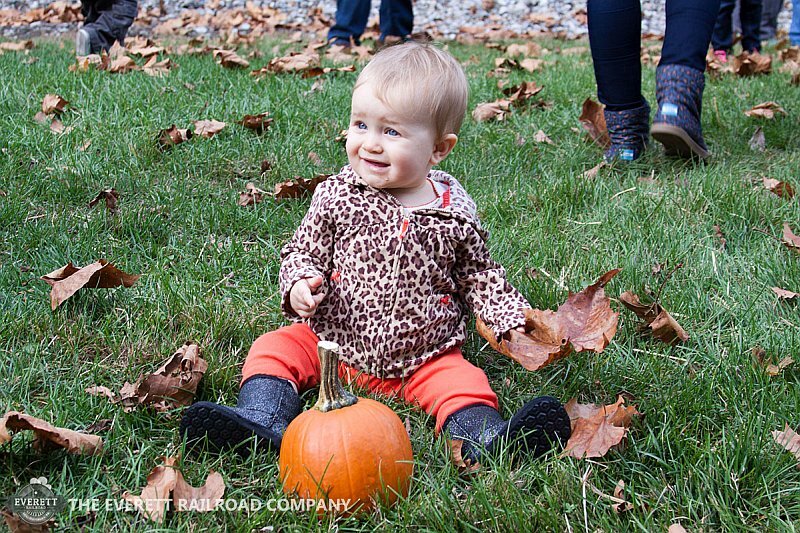 Enjoy the beautiful colors of autumn in Pennsylvania aboard one of our Pumpkin Patch Specials! 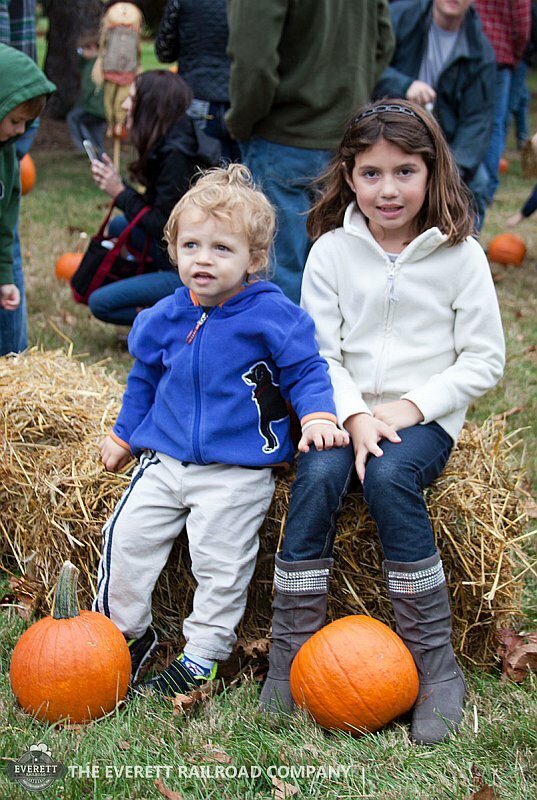 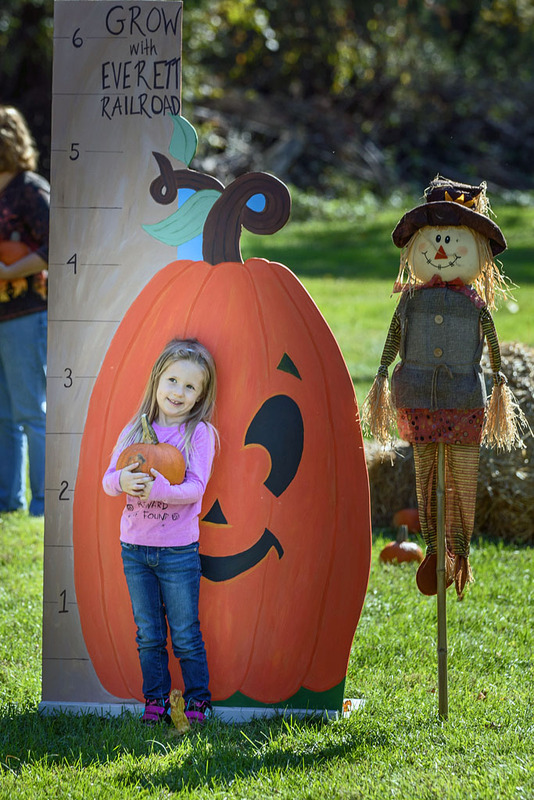 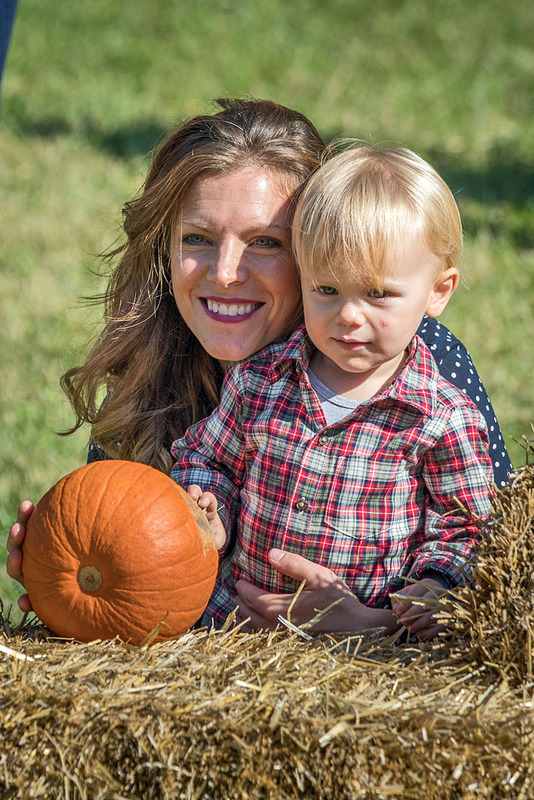 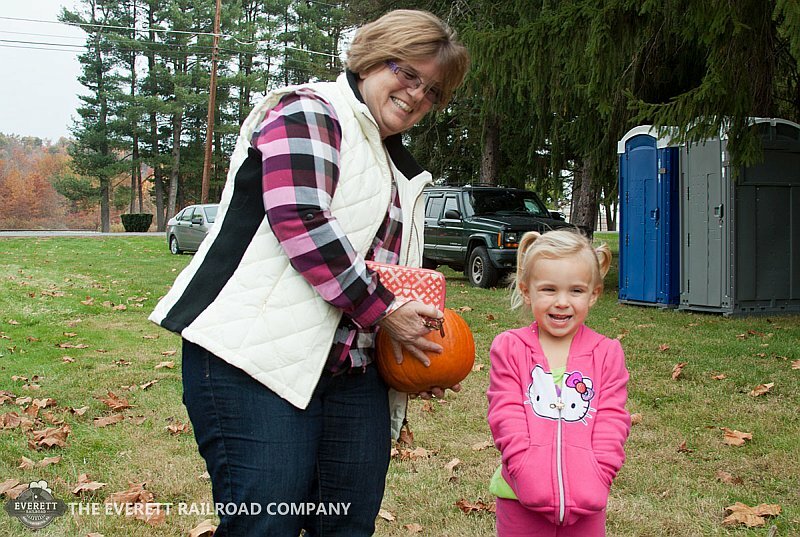 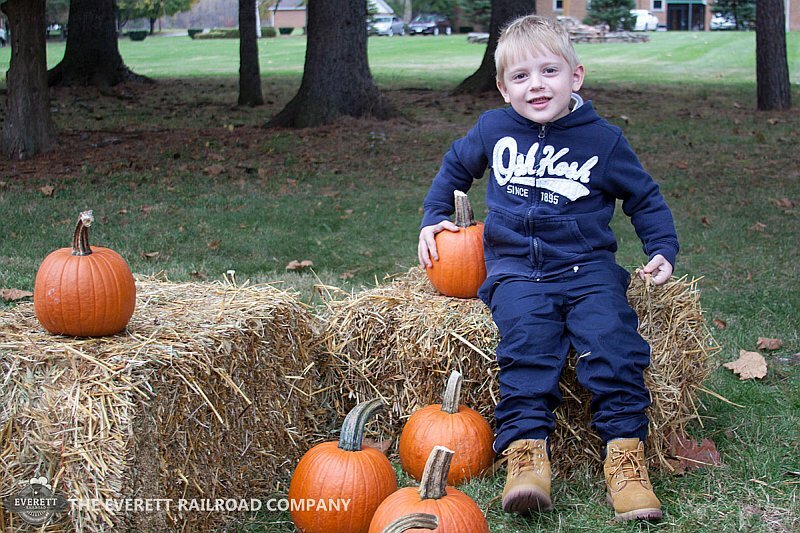 The steam-powered ride between Hollidaysburg and Kladder includes a stop at our pumpkin patch where children will receive a small pumpkin and a felt sticker decorating kit! 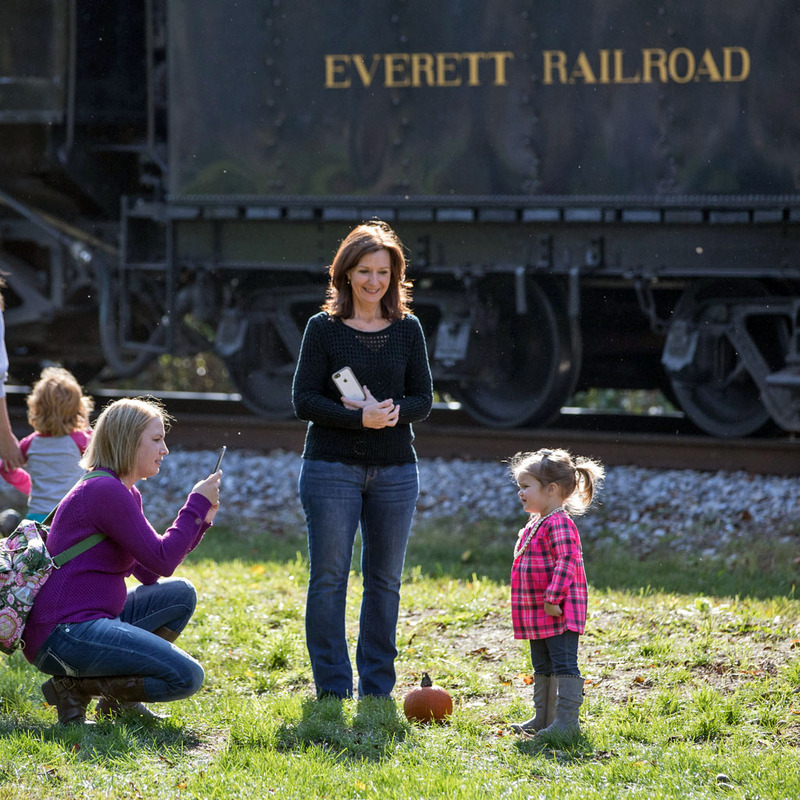 Come out and see the fall foliage aboard the Everett Railroad! 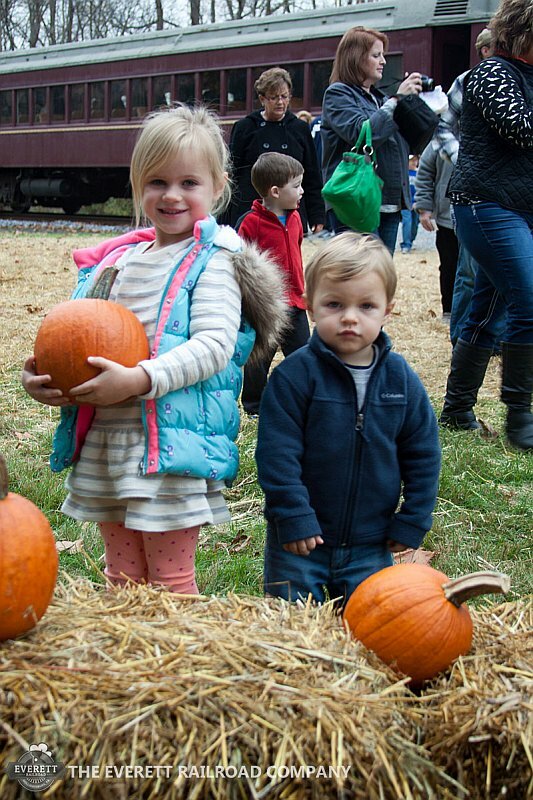 Please Note: These trains are expected to operate with a Steam Locomotive pulling the train to the Pumpkin Patch, and a diesel locomotive on the rear of the train to pull it back to our depot in Hollidaysburg to allow families more time at the Patch. 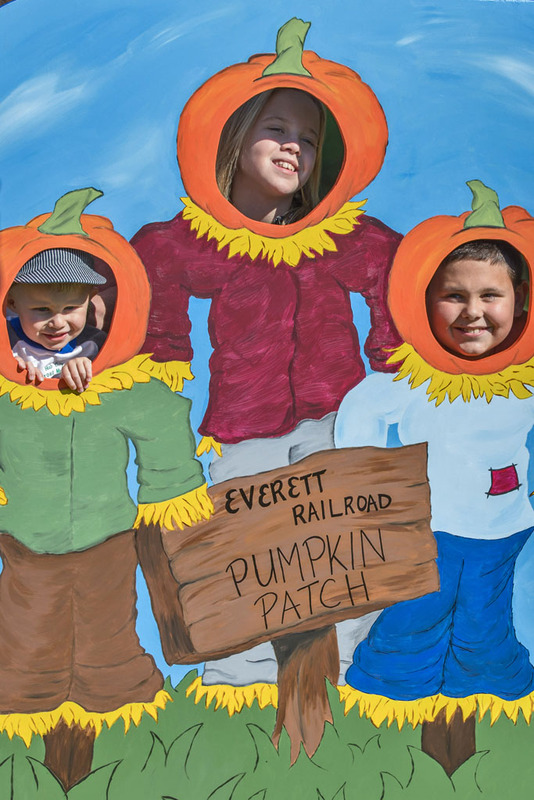 OUR 2019 PUMPKIN PATCH SCHEDULE WILL BE RELEASED SOON.